UPDATE: According to Driving.ca, this version will only be available in China. 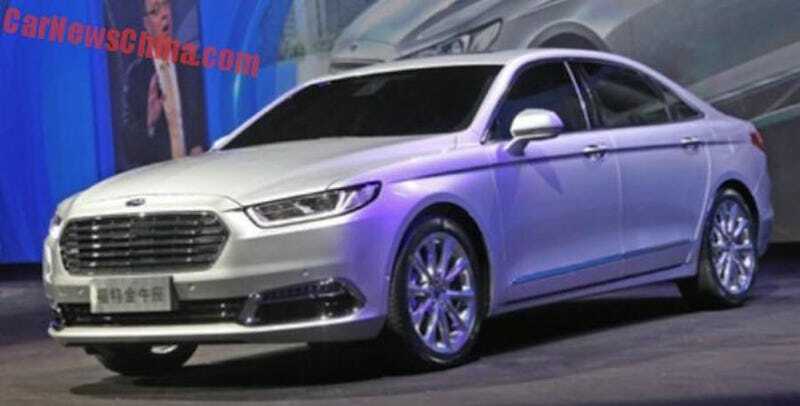 Ford debuted the new 2016 Ford Taurus, and it looks like a Fusion and an Audi had a baby. Initially, the Taurus will only be available with one engine: a 2.7 liter V6 ‘Ecoboost’ turbo with an output of 325hp and 475nm, mated to a six-speed automatic gearbox. Later on a 2.0 turbo will become available as well. The car is expected to retail for $48,400.